This cricket bat is made from grade 4 English willow and the 303 grade clearly indicates this fact. The willow is safeguarded by a grained GM polycarbonate DuraCover and ToeTek toe guard that acts as a resilient shield to prevent damp and swelling of the toe.• Superior Feel: The Aura Range of bats come from England, the country where cricket originated and has a traditional back profile. Having features that would let you play powerful shots with ease, this cricket bat is the one to watch out for. 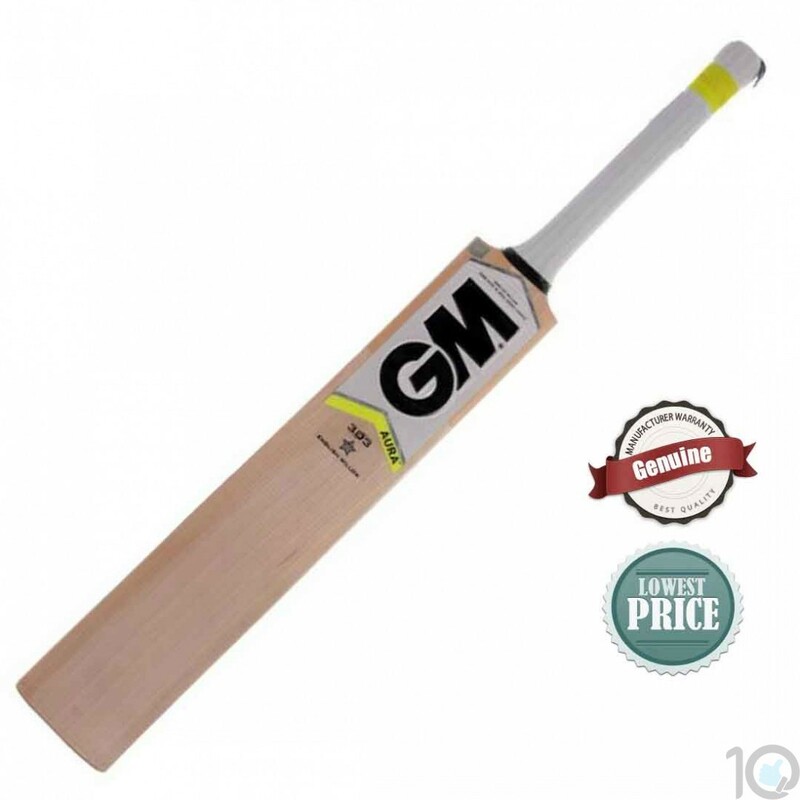 Coming from the house of GM that produces cricket accessories using manufacturing processes that depend on advanced technologies and years of research, the Aura F2 303 cricket bat would bring out the best cricketing qualities in you.